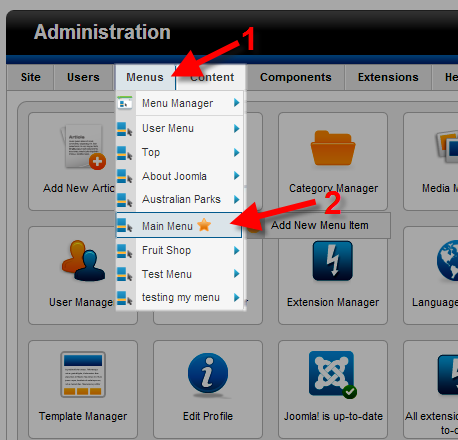 In Joomla, you can change the order that menu's display in from the Dashboard. In this tutorial we will walk you through this modification. 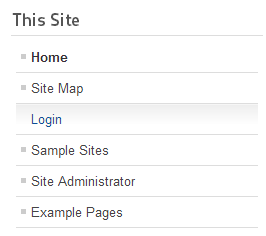 Login to your Joomla Dashboard. 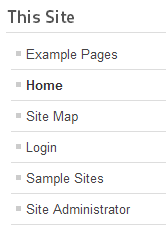 You will see the menus listed in order of how they display on the page. Use the blue arrows to re-order or modify the menu location. As a test, I am moving the Example Pages link to the top. 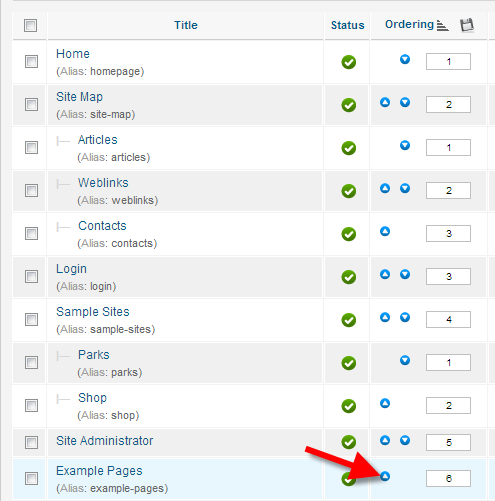 Congratulations, now you know how to Re-order the menu's for Joomla, from the dashboard!